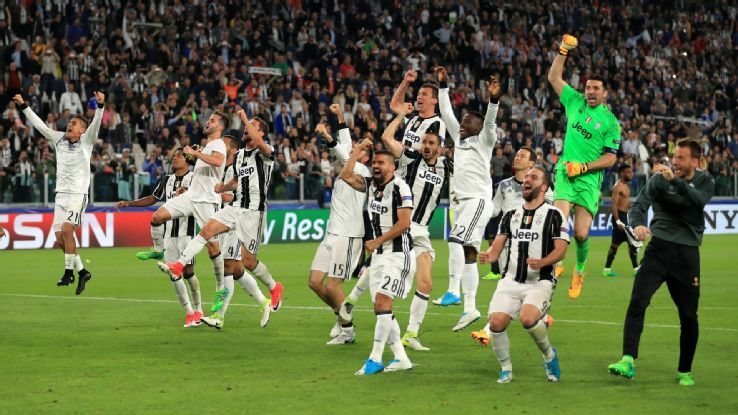 Juventus have reached the finals of the UEFA Champions League for the second time in three years after goals from Mario Mandžukić and Dani Alves handed them a 2-1 (4-1 on aggregate) victory over Monaco in the second leg of their semi final Champions League encounter. Kylian Mbappe pulled one back for the visitors but that was not enough as the Old Lady went of to beat the French side at the Juventus stadium. Juventus will now play either Atletico Madrid or Real Madrid at the Finals in Cardiff later this month. Atletico Madrid host Real Madrid on Wednesday night at the Vicente Calderón Stadium, with Real Madrid having a 3 goal advantage.